CUMTD #4530 at the Urbana garage painted for Decatur in a pending sale but never used there. 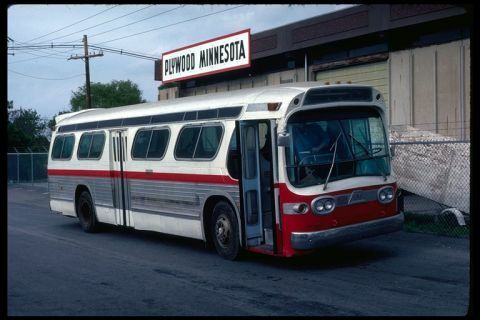 In spite of being in a paint scheme similar to CUMTD it reportedly never operated in these colors. Photograph taken May 4, 1977 by A.J. Reinschmidt.